They have sent a solicitor’s letter to the Taoiseach but also set up a fundraising account. 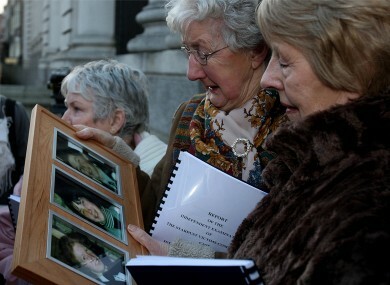 FAMILIES OF PEOPLE who perished in the Stardust fire of 1981 have sent a solicitor’s letter to the Taoiseach over €192,000 of fees. In a letter sent from the Stardust Victims Committe solicitor to Taoiseach Enda Kenny, they say they are contacting him in relation to “outstanding costs and outlay” incurred in connection with various experts. They say that there was an agreement that the fees would be discharged after the Coffey review. The letter claims that their costs run to in excess of €192k and that they have previously submitted details and vouchers. “They are agreeable to having their costs measured on the basis of all work done in connection with the above hearings,” states the letter. In a statement, the committee say that they have “been left in the position to beg on their knees for the government through their solicitor to discharge fees”. The committee has now set up a fundraising campaign to try and raise the €192k used to pay the experts that helped them during the Coffey review. The account is: Stardust Victims Committee, Ulster Bank, Coolock. Account number: 74371027, sort code 985015. Email “Stardust families "beg on their knees" for government to discharge €192k costs”. Feedback on “Stardust families "beg on their knees" for government to discharge €192k costs”.